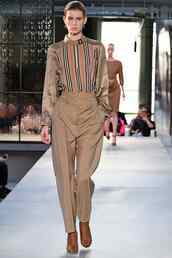 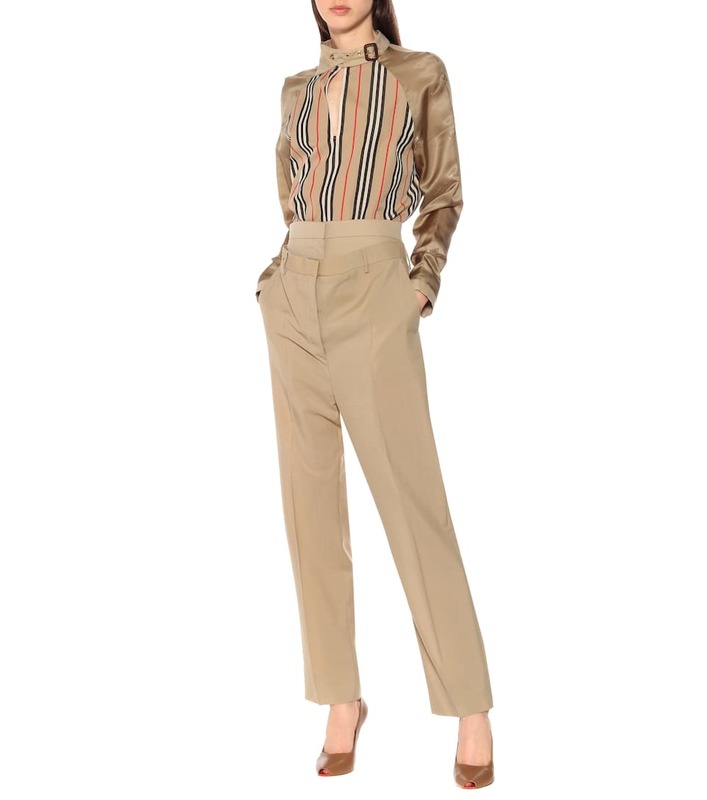 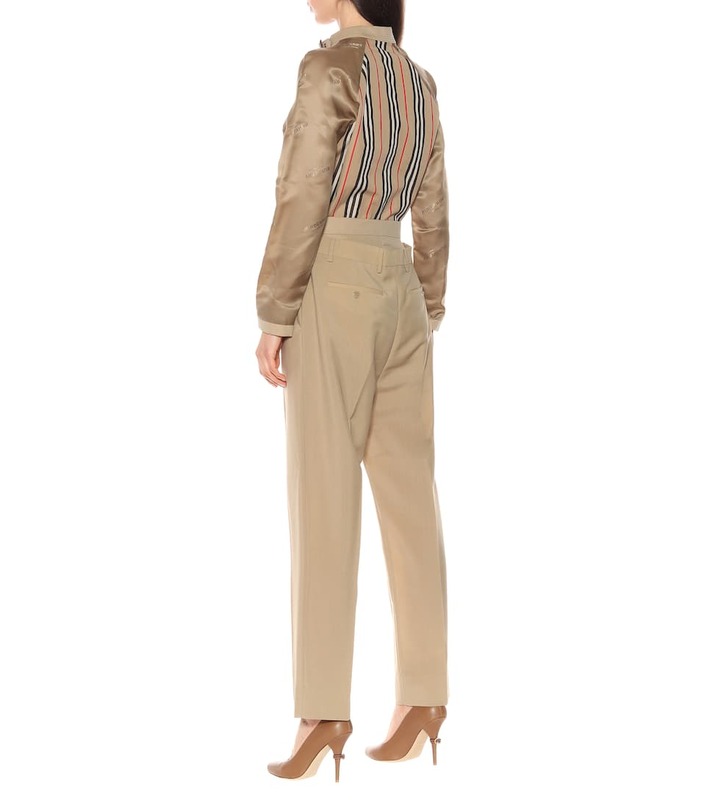 Riccardo Tisci turns traditional tailoring on its head with this pair of double-waist pants from Burberry's Spring/Summer '19 collection. 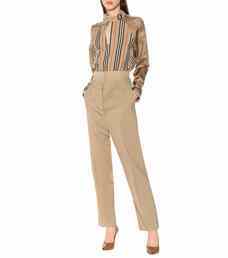 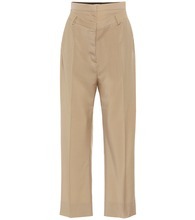 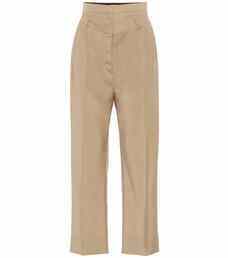 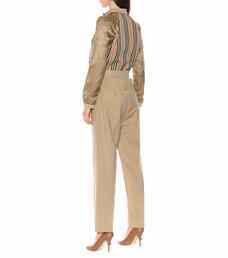 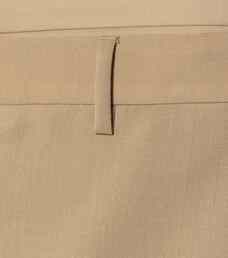 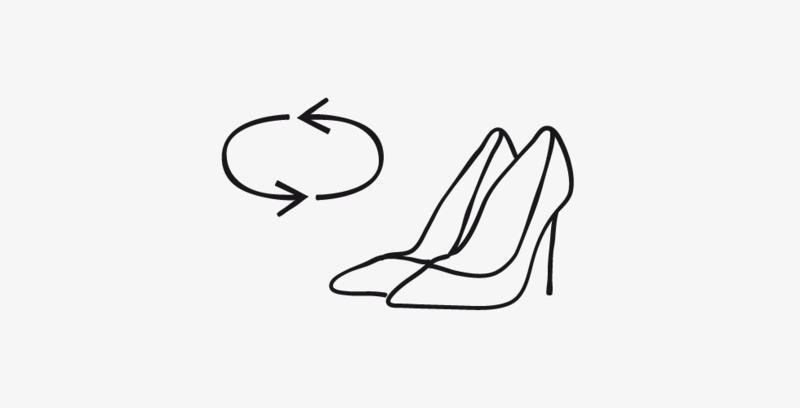 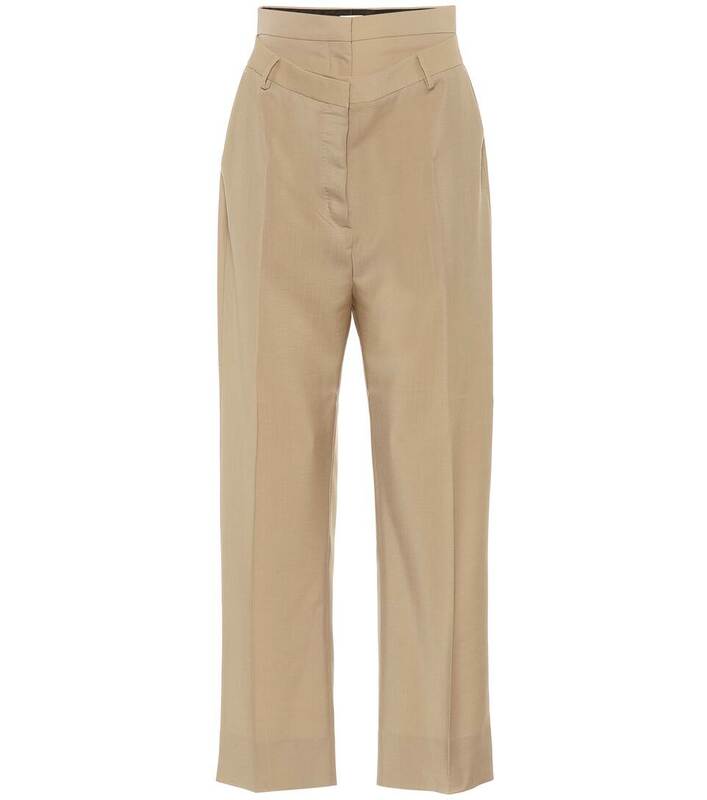 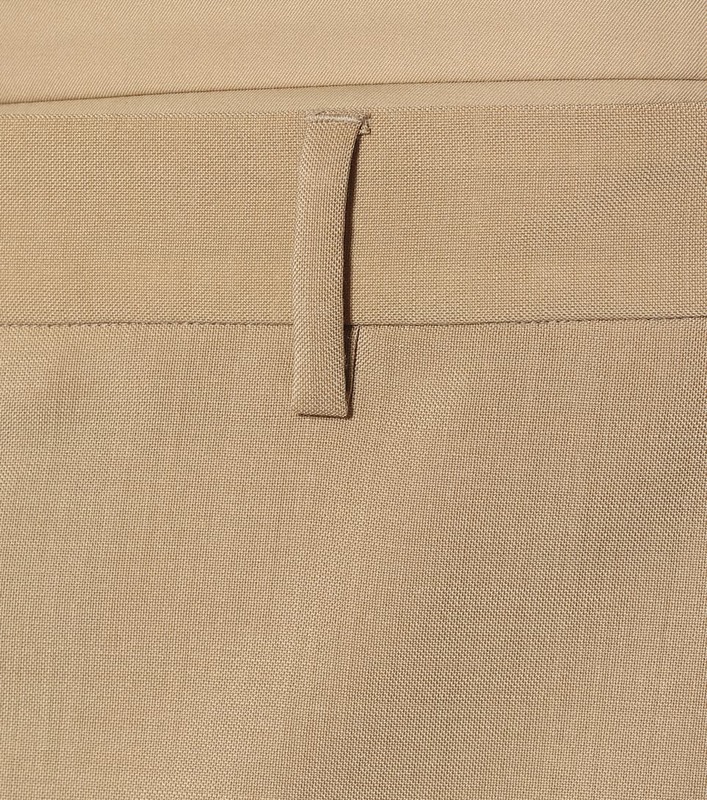 The Italian-made design has been cut from a luxe mohair and wool suiting fabric in honey beige, and fits with a high-rise waist and a second, draping waistband. 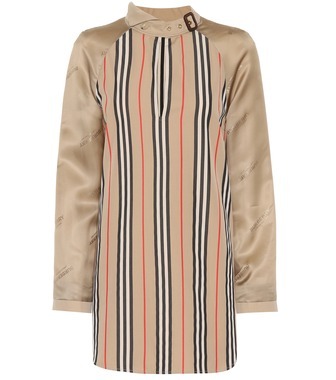 Channel the British brand's styling by matching yours to the Icon stripe shirting.